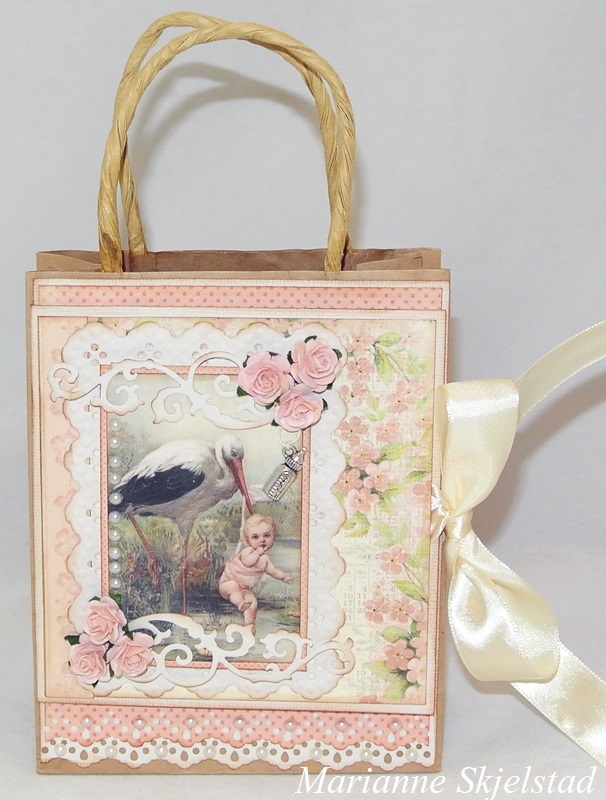 Today I have a gift bag to show you intended for a beautiful baby girl. I have used the pink Sweet Baby papers. The front of the bag is made as a card that can be closed with a silk ribbon and with writing space.